First – what’s a birth defect? We’re talking about structural or functional abnormalities present at birth (congenital) that can affect nearly every part of the body. These defects might impact how the body works, looks – or both. Sadly, congenital defects are the leading cause of death among infants during the first year of life. The most common types of structural defects are congenital heart defects. Others include spina bifida, cleft lip and palate, clubfoot and congenital dislocated hip. The long-term health of a child with a congenital defect depends completely on the severity of the defect itself and which parts of the body are affected. While most congenital defects are identified during a child’s first year of life, some can be detected in-utero through advanced imaging. Some are more obvious, while others can only be identified using specific testing. For the majority of cases, experts will point to multifactorial inheritance – a combination of genetic and environmental factors. In other words, many different things can cause congenital defects. While we can’t pinpoint the exact cause behind most congenital defects, researchers have determined multiple risk factors to consider. You can schedule a preconception visit with an obstetrician-gynecologist (OB/GYN) to assess whether you’re at increased risk of carrying a child with a congenital defect. Some women might have one risk factor, while others might have multiple. After reviewing your personal history, your OB/GYN can assist in pursuing different strategies to address these risk factors. To learn more about Obstetrics and Gynecology at Texas Children's Pavilion for Women, click here. Remember – when you’re pregnant, you share everything with your baby. To start, most OB/GYNs will recommend taking daily folic acid supplementation (400 micrograms) or daily prenatal vitamins at least three months prior to conception and throughout pregnancy. These products consist of a variety of vitamins and minerals to help your baby get the nutrients essential for healthy development, such as folic acid, iron, calcium and vitamin D.
It’s also important to try reaching a healthy weight prior to pregnancy, since obesity is regularly linked to serious conditions such as diabetes and chronic hypertension, not to mention a heightened risk of congenital defects. There are guidelines outlining the vaccinations you need before, during and following pregnancy. For example, the measles, mumps, rubella (MMR) vaccine should be given at least a month prior to conception. You should get the Tdap vaccine during your pregnancy to help protect against pertussis, or whooping cough. If you suffer from a chronic medical condition, we strongly recommend consulting with a high-risk obstetrician prior to conception to (1) discuss the implications of your medical condition to avoid complications during pregnancy and (2) assess whether your current medication(s) are safe to use. Early prenatal care and pregnancy co-management between your providers are essential. For those taking angiotensin-converting enzyme (ACE) inhibitors for chronic hypertension (high blood pressure) – such as enalapril or lisinopril – there’s an increased risk of specific kidney defects and low amniotic fluid during pregnancy. Therefore, it’s always recommended to switch to safe medications a few months prior to conception, such as labetalol or nifedipine. For those with a history of epilepsy, conception should (ideally) be deferred until seizure activity is controlled through the use of only one antiepileptic medication. There are certain medications to avoid in the first trimester, including carbamazepine, phenobarbital, primidone, phenytoin, valproic acid and topiramate. These women should also take a higher dosage of folic acid (2-4 milligrams daily) at least three months prior to conception. The incidence of birth defects is higher in women with epilepsy – specifically abnormalities of the face, brain and spine. Some medications are safe to use during pregnancy. This might pertain to women with medical conditions including connective tissue disorders, renal disease/transplant or gastrointestinal disorders. To learn more about High-Risk Pregnancy Care at Texas Children's Pavilion for Women, click here. To schedule a consultation with a maternal-fetal medicine specialist, ask your OB/GYN to complete and submit a referral form. It’s critical to avoid alcohol, tobacco products and illicit drugs during pregnancy. There is no known safe amount of alcohol to consume during pregnancy, so it’s recommended to stay away from it altogether. We often see a pattern of anomalies associated with fetal alcohol syndrome including dysmorphic facial features, low birth weight and neurobehavioral impairment, among other serious alcohol-related birth defects. The same goes for tobacco usage, which is associated with increased risk of specific birth defects, low birth weight, spontaneous abortion, placental complications and sudden infant death syndrome. Any type of opioid exposure – including painkillers such as codeine and oxycodone – during pregnancy puts the newborn at risk for neonatal abstinence syndrome, a condition in which the newborn experiences withdrawal symptoms after exposure to the drug in the womb. If you’re pregnant and using opioids, talk with your doctor or OB/GYN immediately to discuss treatment options. 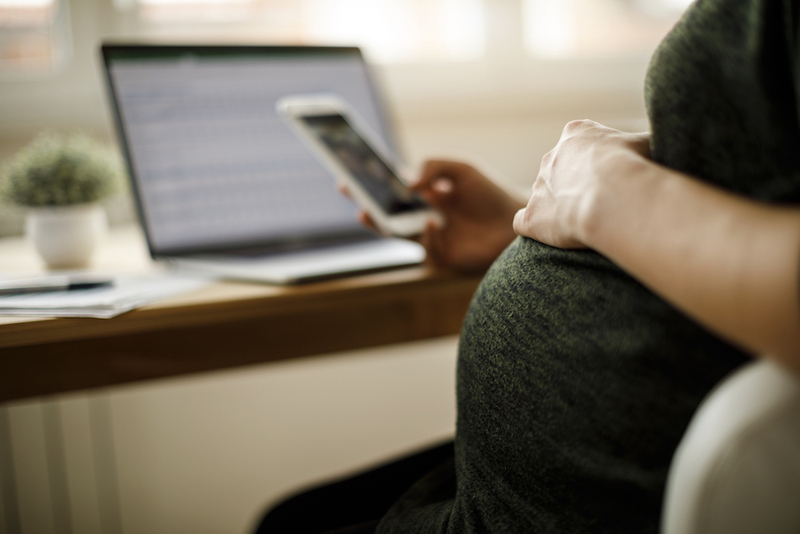 If you’re pregnant or trying to get pregnant while using any other illicit drugs, find support immediately – your baby’s life and future depends on it. If you have a personal or family history of a particular birth defect, consider scheduling a preconception consultation with a genetic counselor. During this consultation, the genetic counselor will assess your personal and family history to identify any potential risks to a future pregnancy before discussing methods to reduce these risks, if possible. You may also review screening options to help further clarify the risks of having a child with an inherited condition. To learn more about Baylor Prenatal and Reproductive Genetics at Texas Children's Pavilion for Women, click here. To schedule a preconception genetic counseling appointment, feel free to call 832-826-4636 (4MFM).